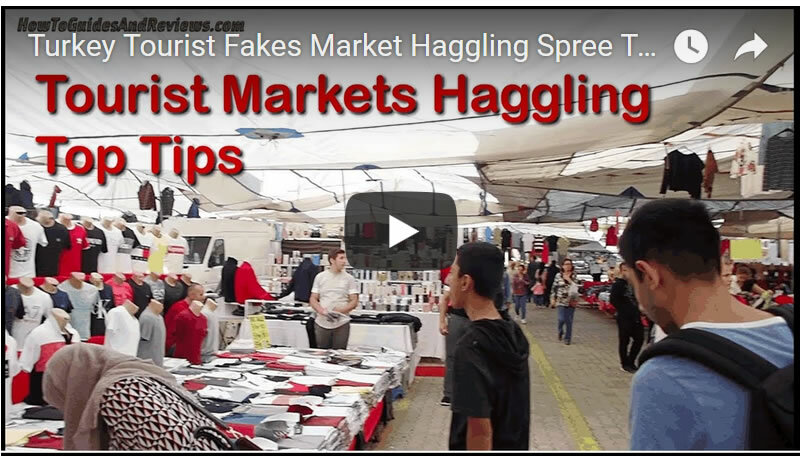 If your going on holiday this year to Turkey and similar North African holiday destinations then you'l likely visit one of the bustling local open air markets with plenty of bargains to be had if your upto the haggling challenge! It's a experience in its out right and its FREE, apart from the shopping. You get to see and experience a different side of the world, markets usually full of tourists from all over the world of all types and ages, a true melting pot. The markets sell virtually everything under the sun, food, fruit, sweets, electronics, bags, all sorts of bags, trinkets, shoes, jewellery and clothes, tons of clothes, from the mainstay for tourists t-shirt's tons and tons of t-shirts to the local traditional garments. In this video we give our top tips on how to haggle the price down on Jewelry and other items, and you'll be amazed on how far we go at getting the price knocked down from the opening quote.